I would like to share with you where I live, and what I see virtually every day. 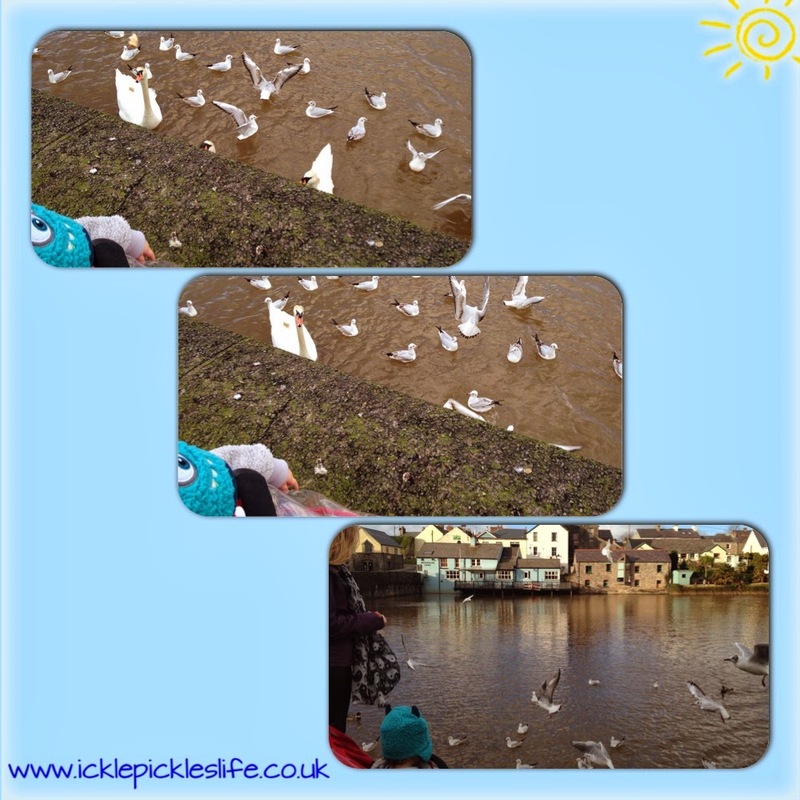 I live in a pretty little town in West Wales, which has a castle and a mill pond with lots of swans and other birds. I love going for walks here with mummy, and my sister, and we feed the birds. We usually go for a walk on a Saturday afternoon. The water is brown here because the photos were taken just after we had terrible storms and so much rain, then the water flows into the pond from the fields. I also live near the sea, my Nana and Grandad live in Saundersfoot, which is a little village about twenty minutes from home. I go for lots of walks here with my family, and sit looking over the harbour watching the birds and the boats. Mummy meets Nana in the afternoons before we pick up the others. Nana looks after me on a Tuesday and she takes me for a walk too. 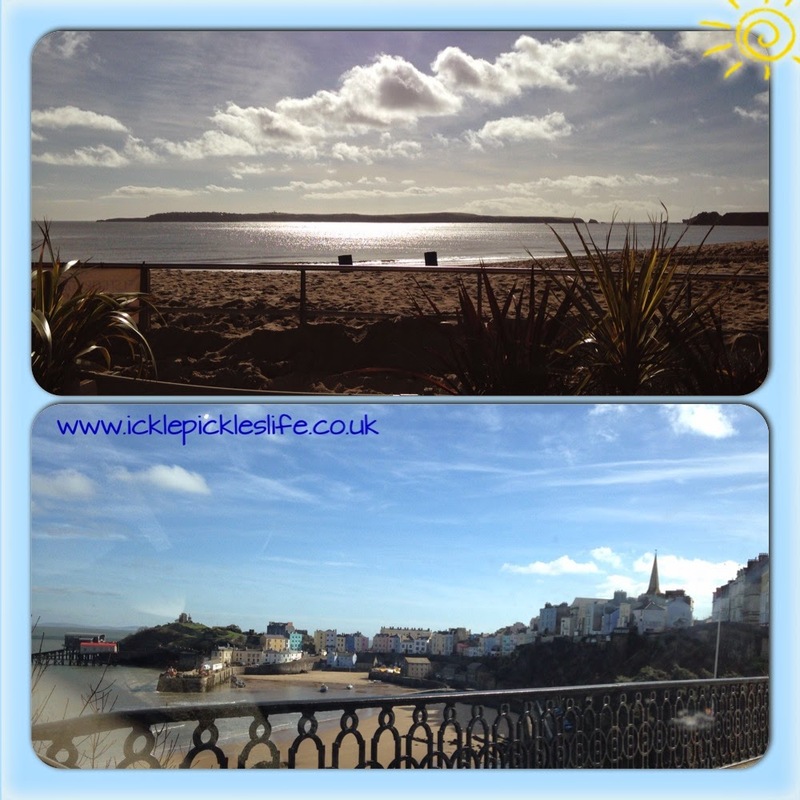 This is Tenby, where my brother and sister go to school. I go for walks here with my Granny Jane and mummy, it is so beautiful. Granny Jane isn't my real granny, she is mummy's good friend, who looks after me when mummy needs help. Tenby Harbour is probably the most photographed and well known in Wales. Thousands of people visit on holiday every year. How lucky am I to live in such a beautiful area? Do these photos look like they have been taken in the summer? They were taken in February and March! 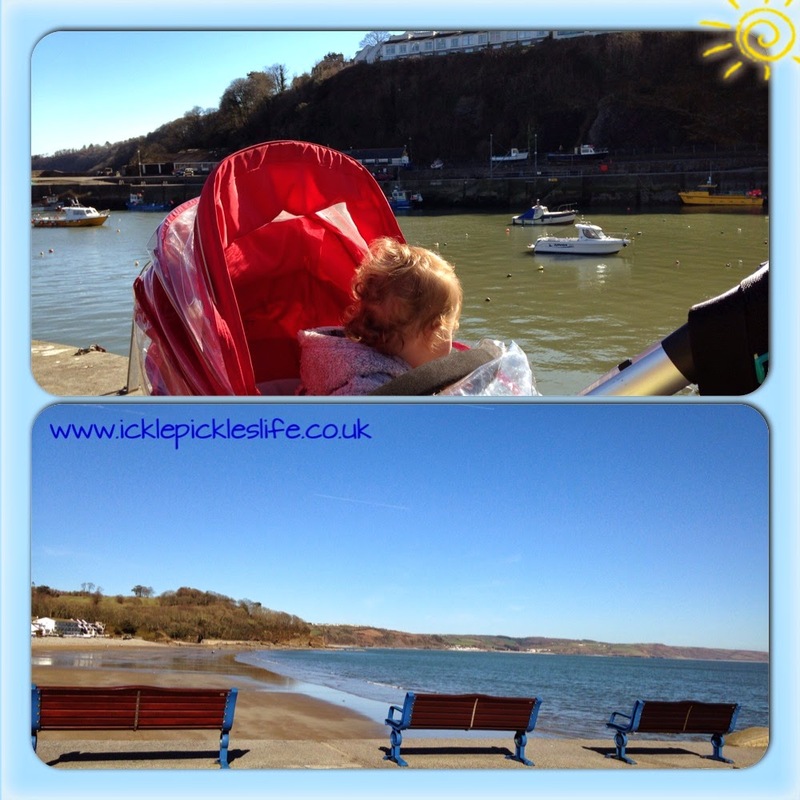 A big thank you to Ickle Pickle for being a guest on my blog. What a beautiful part of the UK you live in! With those blue skies it certainly doesn't look like February & March! If you haven't already be sure to pop over to www.icklepickleslife.co.uk for more wonderful posts!